Rediff.com » News » How much rainfall has your city received? How much rainfall has your city received? 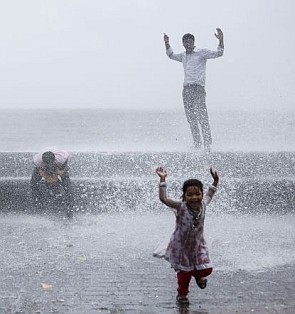 After battling with the driest June in five years, heavy rains finally lashed Mumbai on Wednesday. But many other parts of the country remained parched amid predictions for an El Nino that previously caused droughts and affected crop output. India has received 92.4 millimeters (3.6 inches) of rain last month, or 43 per cent less than the average between 1951 and 2000. Here’s a map showing the monsoon situation across the country based on the Indian Meteorological Department data.